Card Reader Roller is casted by Polyurethane. With high wearing resisitance and ground surface, the roller is used in card reader module in ATM machines. Card Reader Rollers are casted by polyurethane, there are serveral parts as one set used in card reader module, some rollers are polyurethane bonded metal, including aluminum hubs, brass hubs, stainless steel hub etc. 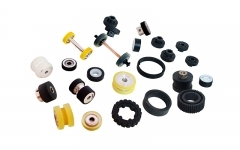 Some rollers are polyurethane covered bearing. Polyurethane surface provides highly wearing resisitance and durability. 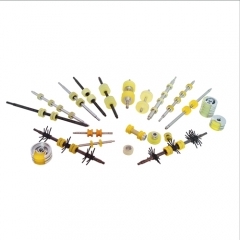 Through grinding by CNC grinder, The roller has very strict dimension tollerance, which brings good positioning performation. Polyurethane has different hardness shore and good elastomer. 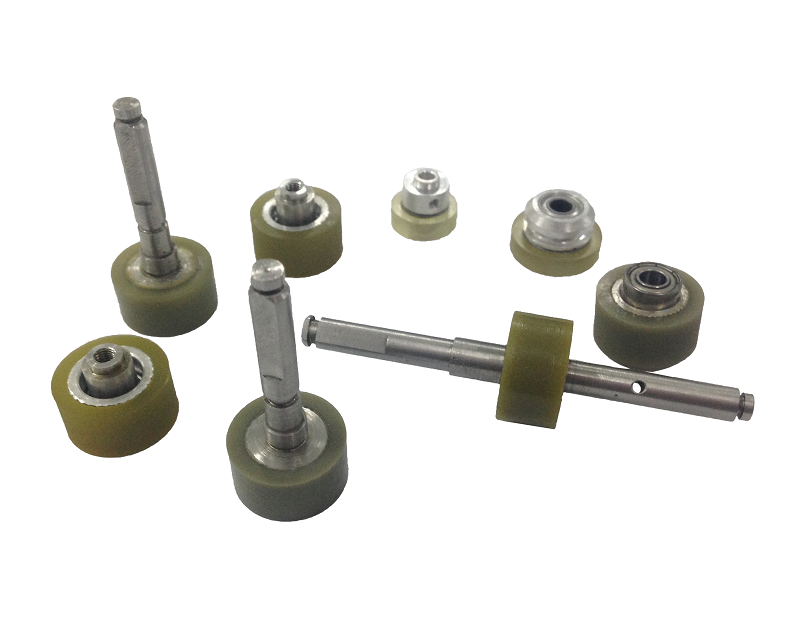 CJC has engineering capability to prototype the rollers according to requirements of customers.